Tom Lennon is taking on a rugby challenge like no other in memory of his dad, who passed away last year, and to raise money for The Shakespeare Hospice in Stratford upon Avon and Macmillan Cancer Support who were there for his father in his final days. 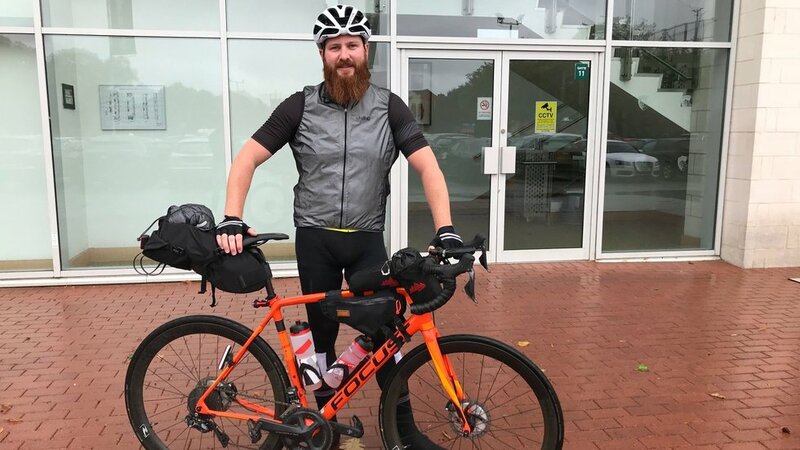 Lennon has set himself the task of riding 744 miles in just seven days, with his route taking him via each of the 12 Premiership Rugby clubs along the way. 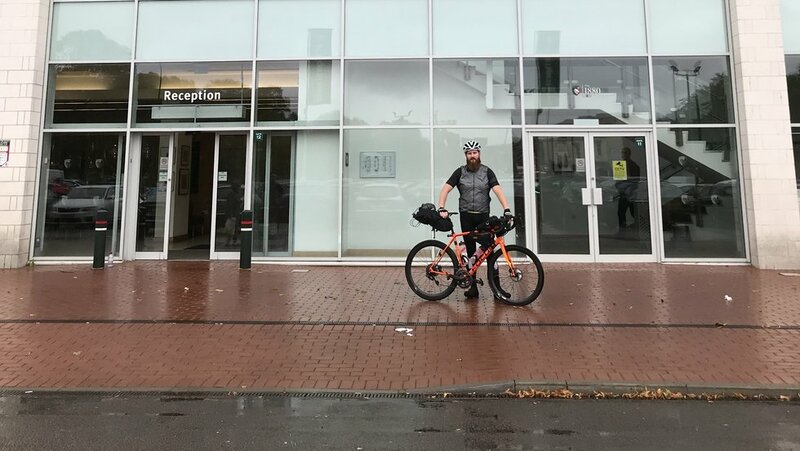 ""I'm riding in memory of my dad, who died last year, and raising money for both The Shakespeare Hospice and Macmillan Cancer Support who looked after him," he said. "Me and my dad were both massive rugby fans and Wasps season ticket holders, although he was really a Tigers fan, and even before their move to our doorstep in Coventry we would drive down and watch them together." While the wind and rain across the country hasn't been the ideal conditions for a bike ride of such magnitude, Lennon says there's no shortage of motivation to ride on. "It has been pretty tough weather the last few days, but it's easy to remember why I'm riding and that keeps me going," said Lennon. He has so far ticked off Exeter, Bath, Bristol, Gloucester, Worcester, Harlequins - with a quick trip to Twickenham Stadium next door - as well as, Saracens, Saints and Wasps, with today's Welford Road visit leaving just Sale and Newcastle left to visit and approximately 280 miles to cover. Lennon has raised £5,800 so far, which he says includes: "some from people I have just randomly met along the way, which has been pretty cool." In true rugby fashion, Lennon has not only the accomplishment and vital money to be raised on his mind for the end of his journey, with one more motivator keeping him going. "Once I finish, the first thing I'll do is have a beer," he says with a smile. A well earned one too, we say!